The Sniper Elite V2 spinoff, Nazi Zombie Army, did the new “cool” thing and added zombies to the war scenario on the PC. The game was surprisingly good and popular, so it comes as no surprise that Rebellion is working on Nazi Zombie Army 2. Rebellions says that this sequel will pick up directly after the conclusion of the first game, and will follow the heroes back to Berlin to find the person responsible for the outbreak and end his power. It won’t just be a retread, though; Rebellion is working hard to make the game more frightening and demonic than its predecessor, and to give each subsequent level a feeling of hellish descent. This includes new, creepy enemies. The game is intended for release later this year, and as of now will remain exclusive to the PC. However, Rebellion is optimistic about venturing out to the PS4 and Xbox One. 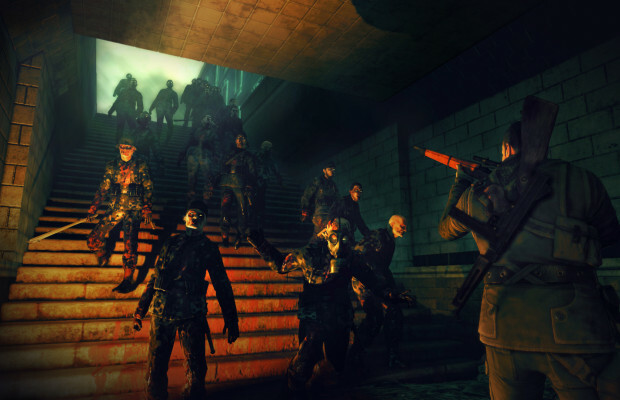 Did you enjoy the first Nazi Zombie Army? Tell us if you’ll be picking up the new one in the comments, or find us on Facebook and Twitter!